Though he proudly reps Cleveland, few people have more easily earned the respect of ATL’s rap cognoscenti than FBG’s Doe Boy. Serving up a glistening plate of hard-nosed and deeply textured trap music, Doe Boy shares 88 Birdz, his new mixtape. Executive produced by Young Thug, who appears on the Billboard-premiered “Slimey As It Get,” 88 Birdz is a showcase for Doe Boy’s hypnotic flows and understated bars, as he rhymes about his troubled childhood, his recent prison stay, and his aspirations to reach the upper echelons of the rap game. Packed with slithery beats from ATL superproducer TM-88 of 808 Mafia (Lil Uzi Vert’s “XO Tour Llif3,” Future’s “Codeine Crazy”), with co-production from the likes of Zaytoven, 88 Birdz shows Doe Boy at his full potential, deftly illustrating why he is your favorite rapper’s favorite rapper. 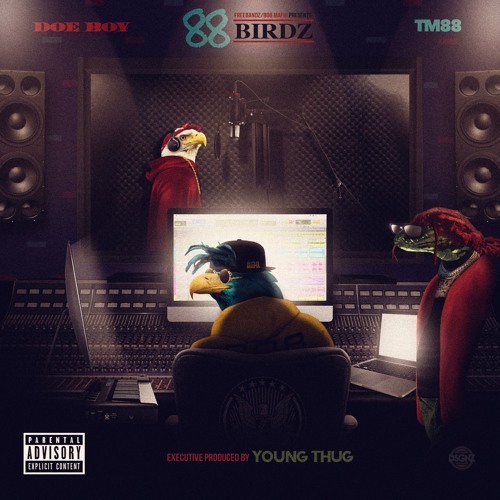 Featuring two appearances from Future and Young Thug, plus appearances from Juicy J and Moneybagg Yo, 88 Birdz arrives via Freebandz.